Creating catalogs is one of the most important tasks you need to do in order to promote your business. 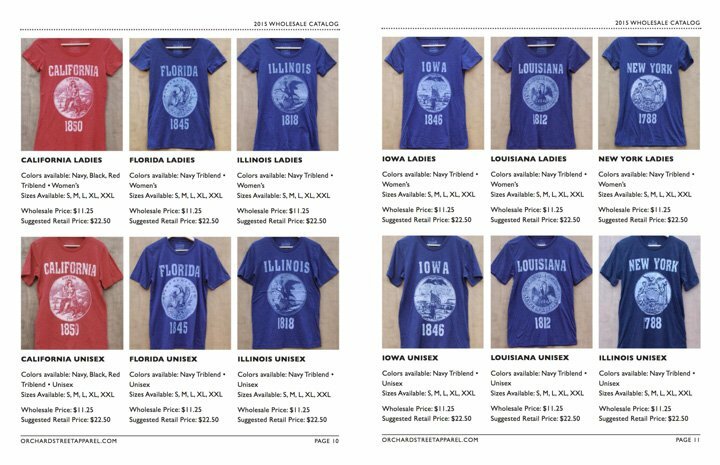 You probably already heard about different types of catalogs such as line sheets, lookbooks or online catalogs. But do you know what is the difference between those documents and when you should use them. If not, this tutorial will help you fill the gaps. If you don’t know how to design your own catalog or if you should hire a professional designer or use an automated solution, you will also find this guide really useful. At first, we will explain what is the purpose of each of those different types of catalogs. In the second part of this guide, we will talk about the benefits of using an automated solution to create catalogs like our automatic catalog builder platform, Now In Store instead of catalog templates. In the last chapter of this guide, we will study a few catalog samples from different industries. We will constantly update this article with new reviews of catalogs and line sheets so do not hesitate to come back from time to time to check our latest updates. It should put an emphasis on your product pictures. In order to accomplish this, don’t display too many products on each page (8-9 products max). It should put an emphasis on prices by using a different color, a different font face or a different font size to make it stand out. A wholesale line sheet (or linesheet) template should be used when you need to send a list of products to your wholesale customers or if you are going to a trade show. It's really important to put all of your product information information on this kind of template. It should contain your product's title, SKU, MSRP (Manufacturer Suggested Retail Price), materials, variations, ... A line sheets comes with order forms and a wholesale contract. But don't worry. We already created an order form template and a wholesale contract template that you can use for your business. A lookbook is a catalog template used to promote your brand. For this type of catalogs, you need to use as many lifestyle pictures as you can and limit the amount of text on each page. It's all about establishing your brand. Use full-page images that show how people use and enjoy your products. At the beginning of your catalog, you should have a profile page explaining your business story. Try to establish a relationship with your customers. An online catalog is essential in our connected world. You should try to create as many online catalogs as you can to promote specific products or current deals to your social networks followers. Don't put too many products on them since most people only look at the first pages of a webpage when they are browsing online. This catalog should be mobile-friendly, embeddable on your website/blog and shareable online on social networks or by email. Should I use automatic software to create my catalog? If you are a larger company and you already hired professional designers you know that it is extremely expensive to pay for the design of a catalog. From The Graphic Artists Guild Handbook of Pricing and Ethical Guidelines rates are around $2500 for a 12-page catalog. 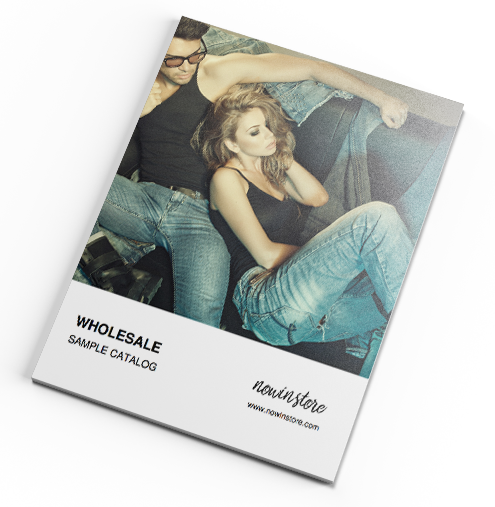 At Now In Store, we design custom catalog templates for less than $700. Creating a 12-page catalog will only take you an hour of work max with our solution. It’s pretty obvious that using a solution like ours will save you a huge amount of time especially if you have a lot of products. There are a few other benefits of using an automated solution to design your catalog. You can update your catalog more often and you are less prone to errors. But don’t take our word for it. You can try and see for yourself with our free 7-day trial. Line sheets are essential when you are working in the Fashion industry. Let’s review a few line sheets from this industry. This example comes from the Apparel Wholesale Catalog 2015 from Orchard Street. This company sells Vintage-inspired apparel for men, women and kids. But they could have done a better job for the pictures. While they tried to use a consistent background for each picture, you can still see that they are not exactly the same. Moreover the shirts’ presentation on each picture is not perfect and you can see a few wrinkles on all of them. To sum up, pictures lacks consistency and don’t look professional enough. Titles stand out which make them clearly visible. This is a good point. But it’s missing an essential piece of information for each product, the SKU. It’s essential to assign a SKU to each of your products to make the job easier for you and your customers when you are dealing with wholesale orders. It will reduce mistakes and avoid any confusion. Product descriptions show clearly which sizes and colors are available. Since we are dealing with t-shirts, it would have been great to know which materials they used to manufacture them. The price section clearly shows the wholesale prices and suggested retail prices. This is what you should do on your own line sheet. To sum up, their line sheet is good but need a few improvements especially in terms of product pictures. Still, it's a good inspiration to create your own catalog template. This example comes from the Spring Collection Line Sheet 2017 from Akola. Akola is a jewelry brand that reinvests 100% of their profits into social missions to help families in poverty by running their retail and manufacturing businesses through a non-profit framework. They did an awesome job promoting their product with great picture. They are extremely consistent with a white background and a shadow behind each product. Pictures look very professional, which inspire trust to their potential customers. Titles are clearly visible but like our last example, but the bad point here is that there is no SKU to identify each product. 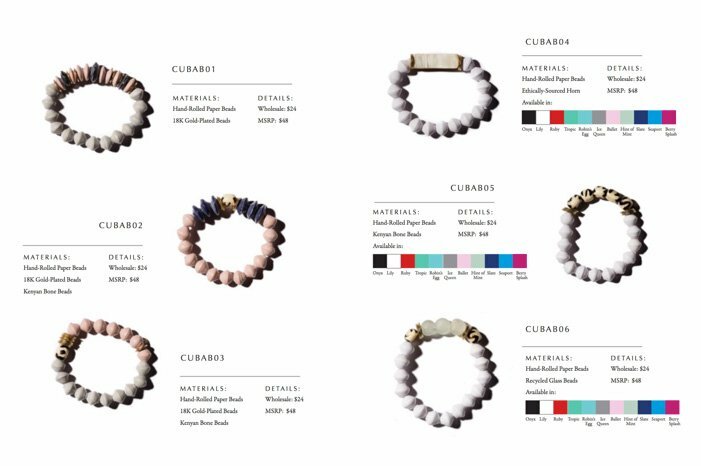 Materials used to create the jewels are clearly visible and they also use a gradient to display available colors. This is really useful and beautiful at the same time. It’s even better than plain text since customers can see immediately if the color they want is available and they have a better idea of what the color actually looks like! Wholesale prices and MSRP are clearly visible. Another good point for Akola! A good plus is that they also used an elegant serif font that matches perfectly the kind of products they are selling. Overall, they did an amazing job on this line sheet. Bravo! If you are a fashion brand and you are working on your own catalog template, this one is definitely a good example. That's it for now. But stay tuned because we will add a lot more content in the coming weeks! You made it up here. In order to thank you for your attention. Please find below an example of line sheet created with Now In Store that you can use as a source of inspiration. If you have any questions regarding this article or catalogs templates in general, do not hesitate to contact us at info@nowinstore.com. Get more free resources for your business by sharing with your friends!